Ulster & London Ventures has over twenty years multi-jurisdictional experience in the arenas of port development and operations and global supply chain infrastructure. Regardless of whether their base of operations is in the Americas, EMEA, or AsiaPacific, our clients are acutely aware of the propensity for, perhaps likelihood of, a break in, or interruption to, their established supply chains because of the current geopolitical climate. We are uniquely placed to guide you through uncharted waters and help you prepare for eventualities and to deliver your Mission Critical Plans for your operation. 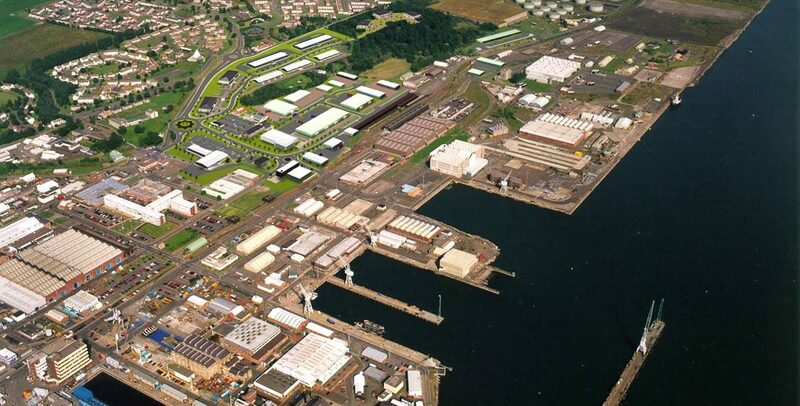 Charting our own journey, back in 1995, Mark Finlay was appointed Development Director of the unique Public Private Partnership that was put in place to bring about the redevelopment of the former HMS Rosyth Nuclear Submarine base on the Firth of Forth, near Edinburgh, Scotland. The project involved the remediation of what was widely considered to be one of the United Kingdom’s most contaminated sites and its transformation into a multi-campus living and working environment including Office Business Campus, working commercial port, Business Research and Innovation Centre, retail and leisure park, complete with public parks and amenities. Finlay’s involvement spanned the most part of a decade, during which time he oversaw the successful implementation of a £50M+ investment program. Stemming from this experience Mark Finlay was subsequently appointed as a Commissioner of the Port of Belfast, a Ministerial appointed Public Office, and during his term of office he was actively involved in the masterplan proposals and legal framework for the development of Titanic Quarter in Belfast Harbour. Finlay served on the Health, Safety & Environment, Commerical, and Development Sub-Committees of this Trust Port. With a growing experience of waterside regeneration and his practical understanding of the complex balance of Port operational requirements and development pressures, Finlay was sought out to advise on major Port regeneration projects and proposals in Tallinn, Estonia; St John, New Brunswick, Canada; and SuperPeurto Barranquilla, Colombia. Over the last decade Ulster & London Ventures has applied this experience to advise corporations on their global supply chains, business environment, sustainability and corporate responsibilities. Similarly, Ulster & London Ventures has been involved in the delivery of business investment in supply chain infrastructure, Corporate Real Estate (CRE) and Foreign Direct Investment (FDI) projects in Europe, Australasia and the Americas.